The Remus Okami slip-on can is lighter than the weight of the standard can that comes on the Honda Africa Twin and is much more stylish too. 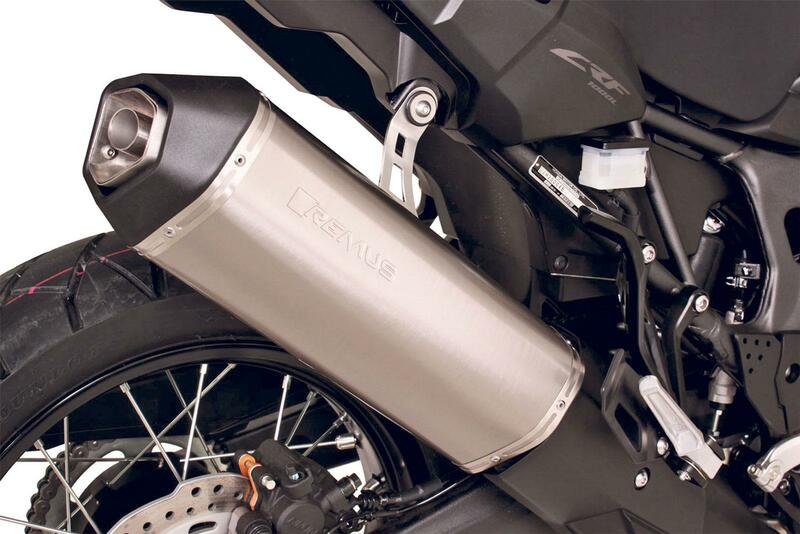 It requires no adjustment to the fueling and weighs in a 2kg less than the OE silencer. With the road legal baffle in it’ll only boost power by 1bhp and without it Remus claim you’ll get an extra 4bhp. It’s also available in stainless steel, titanium or carbon-fibre. Prices start at £305.00 for the Stainless can with the Titanium coming in at £349.00 and the carbon silencer costing £384.00.